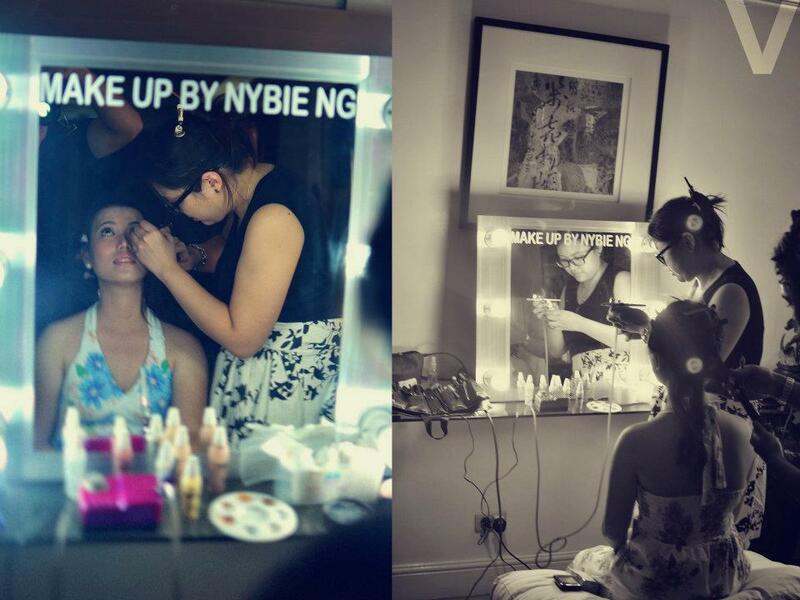 I was so excited to do make up for this bride because she is one special bride for me. I’ve known Ms. ruby from my college days she was one of my college professor( no, she’s not that old. haha). We were her in pilot class, This explains the age. 🙂 As a student I thought Ms. Ruby to be strict in our class. But during the wedding preparations she was very very nice and accommodating. She is very supportive of what i do now, I really love her for that. On her wedding I asked her what look does she prefer she said, natural , soft and fresh with a little contouring airbrushed make up look but actually anything can do. That I know best and just work my magic on her. Lips on the pink neutral side. 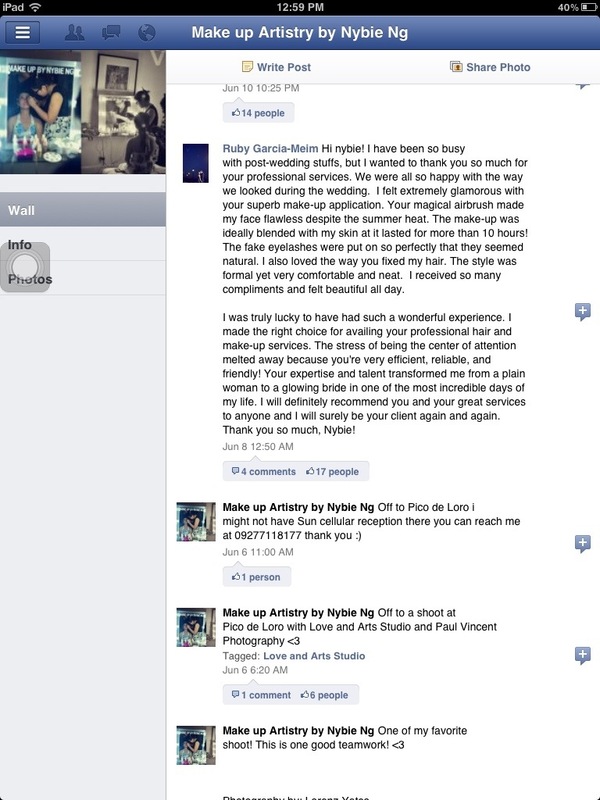 After the wedding Ms. Ruby gave us a sweet testimonial on our Facebook page. 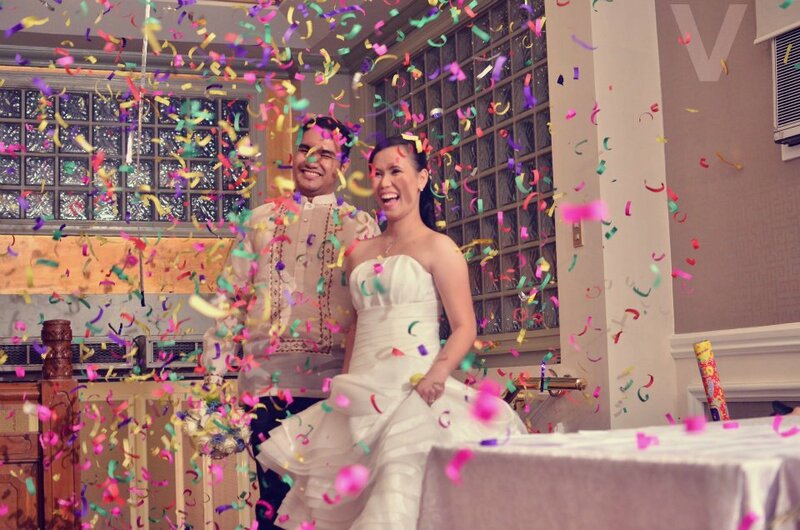 Congratulations and Best wishes to my lovely couple Sir Erwin and Ms. Ruby Meim! Posted on July 28, 2012, in Wedding and tagged airbrush make up artist, airbrush specialist, bridal make up, bridal make up artist, faculty of pharmacy, filipina bride, love and arts studio, Make up, make up artist, make up artistry by nybie ng, make up for filipina bride, mark vitasa, medical technologist, medtech, natural bridal look, natural look, nybie ng, ust, wedding make up. Bookmark the permalink. Leave a comment.